It looks like good news is on its way to fans of the Code Black, Supergirl, Limitless, and Life in Pieces TV series. CBS CEO Les Moonves believes renewals are on the way for five new shows. It seems to us, the above TV series will be renewed for a second season. Moonves teased upcoming renewals at the Deutsche Bank Media, Internet and Telecom Conference, this morning. He did not specifically name the series that will get a second season. Per Deadline, Moonves said, “We have about five new shows on this year. Of those five, I believe all five of them will be renewed, and we own four of them.” Yes, we only listed four series. This is where some detective work comes into play. So far this year, the Tiffany Network has introduced Limitless, Code Black, Life in Pieces, Supergirl, and Angel from Hell. CBS cancelled Angel from Hell after airing only five of thirteen produced episodes, so it is out of the running. Two other shows are debuting this spring — Rush Hour and Criminal Minds: Beyond Borders; CBS owns Criminal Minds. What Moonves likely referred to was the four current freshman series and [Criminal Minds: Beyond Borders], which launches next week. That makes five shows which have a strong shot at coming back for a second season. He probably meant to say that three of them — Limitless, Code Black and Beyond Borders — are owned by CBS and two come from outside studios – Life In Pieces and Supergirl. Criminal Minds: Beyond Borders officially premieres Wednesday, March 16, 2016, at 10:00pm ET/PT. Rush Hour, a spin-off of the Jackie Chan/Chris Tucker movie franchise, premieres Thursday, March 31st, at 10:00pm ET/PT. Check out our CBS spring schedule, here. What do you think? Are you a fan of The Code Black, Supergirl, Limitless, and/or Life in Pieces TV shows? Do you think they should be renewed for a second season? Let us know, below. More about: CBS TV shows: canceled or renewed?, Code Black, Code Black: canceled or renewed?, Criminal Minds: Beyond Borders, Criminal Minds: Beyond Borders: canceled or renewed?, Life In Pieces, Life In Pieces: canceled or renewed?, Limitless, Limitless: canceled or renewed?, Rush Hour, Rush Hour: canceled or renewed?, Supergirl, Supergirl: canceled or renewed? I guess this was all ********, Les Moonves is a **** sucking liar. Nothing more evil than getting someone’s hopes up then decimating them. Supergirl and Life in pieces are the only shows i care about so please don’t cancel them!! 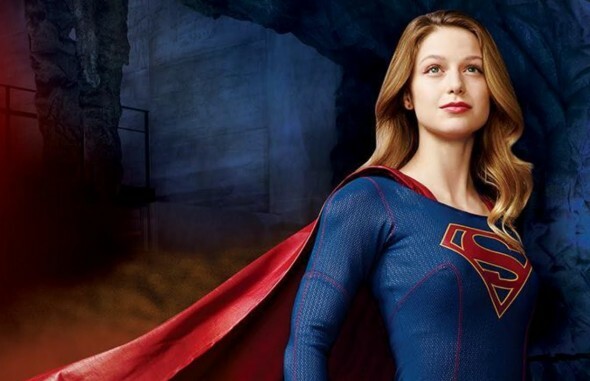 Supergirl is what this world NEEDS badly because of how horrible Society is today and plus all the actors and actresses are awesome in the show so please keep it going for at least another 10 seasons like Smallville did if not more!! :) And it definitely helps that all the actresses who played in Supergirl are very attractive.